We are constantly filling our world with noise. If it is not the sound of our own voices, then turn up some other noise to fill the silence. With the proliferation of radio talk shows, we are even given the opportunity to sound off to that noise. Unfortunately, quite often we say things that are harmful, hurtful, or foolish. 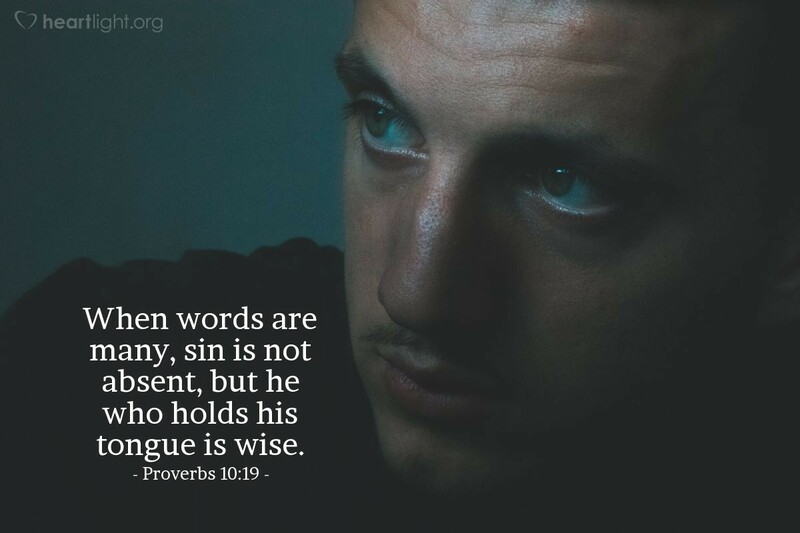 God's wisdom reminds us to learn to hold our tongue and let silence rule over more of our time rather than the noisy words that so often clutter our world. Holy God, please give me more wisdom so that I can keep my mouth shut more often and my ears more attentive to the needs of others. Purify my heart and cleanse my speech so that it will be helpful to others and bring glory to you. In Jesus' name I pray. Amen.